The time has come for this, the long foretold update. A great much has gone down since the last time we reached out. We’re not trying to be self-centered here, so lets think about YOU for a second. If, as many do, you use HH updates as a key marker in the passage of time, then review, dear friends, the events transpiring since June of 2015. Don’t go in too deep, give it 2 solid minutes maybe. Try not to get too pissed or too pumped. Just a quick, computerside reflection. The buddhists, would call this the middle way. The blink of an eye it seems. On to biz. We’ve left the label that put out, 3 and have both recorded solo records. Sooze’s is up to bat first (Ruby Red released August 11th), Ben’s to follow. We shot a tv show last fall. 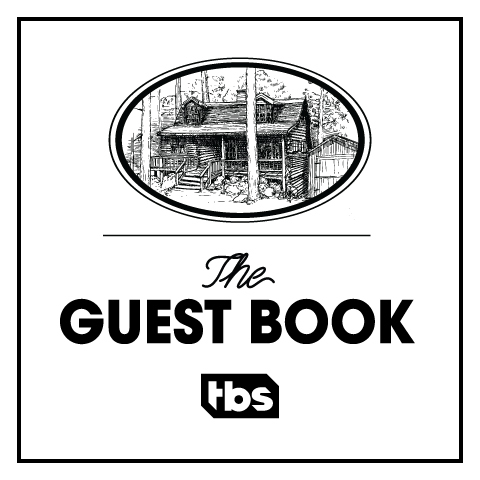 It’s called The Guest Book and it’s out on TBS RIGHT NOW. We still love to party but the parties will be different for some time, solo parties. HH will continue to spread the word on our individual projects but you can find us both separately on the ol’ socials and with new mailing lists and websites. There are a few shows in October but we’ll tell you about that soon. Guys, we love you. Your support is what allows us to do this. New York City Record Release Show! Join Suzanne Wednesday August 23rd at the Mercury Lounge for the release of her new record Ruby Red. Tune in to TBS, Thursdays at 10/9C to catch us in every episode of The Guest Book! Suzanne’s solo album Ruby Red, produced by seasoned singer, songwriter, and producer Butch Walker, is now available. Ben has been in the studio recording and crafting a brand new album titled Oh, Wild Ocean of Love. Stylistically the album approaches music from a fundamental level, saturated in curiosity and improvisation. Ben wanted to create a record that culminated a range of musical styles, and allow the listener to explore the world through music. As a preview to the album, Ben is releasing “Dominator,” the first single off his album, for free. Sign up for the freshest updates!